Mobile Catering Business To Operate On University. I was wondering if you can help me at all. I go to university and part of my studies involves creating a business plan for a fledging business idea; I basically choose a mobile catering business to operate on the university. I was just wondering if you could offer me any information with regards to the type of equipment i'd need/costs if I was to serve food like kebab, pizza, chips, hotdogs, bacon, eggs and a few other standard items you'd expect to sell? Another thing was that having gone to the university shop I counted the amount of customers they served every hour and it was something ridiculous like 70-80 people. I was wondering what is the best way to forecast your customers as even though I would probably get that sort of demand at university surely it's not possible to cater to that many people? And how much stock would I need? Comments for Mobile Catering Business To Operate On University. Bain Marie - will allow you to store pre cooked food and then serve food during a busy rush of customers. Again the price varies and depends on the size of the baine marie that you need i.e. one that can hold a huge quantity of food. Water boiler - if you intend on selling hot drinks, tea and coffee. Kebab machines are around £700- £1000 depending on if you wanted to buy new or second-hand. In my opinion I would opt to leave out the kebab machine as it takes time to prepare, cut slice and warm the pitta bread. It’s not really a fast food item and as such I would focus on the easier to prepare, cook and sell foods that you have already mentioned. You talk about serving 70-80 people per hour, this is achievable but you will need some help and as long as you have all the food prepared and ready (baine marie) it’s just a case of serving up what’s on your menu and taking the money. Your menu choice is important and you must think about what you want to sell and how quick you can deliver the food, especially if you have large quantities of people at certain times of the day. With regards to stock again, it will be trial and error when you first start out, and you will find that you can quickly adapt to your customers needs, buying habit and buying times. Which will give you a better indication of the stock levels you need to maintain. 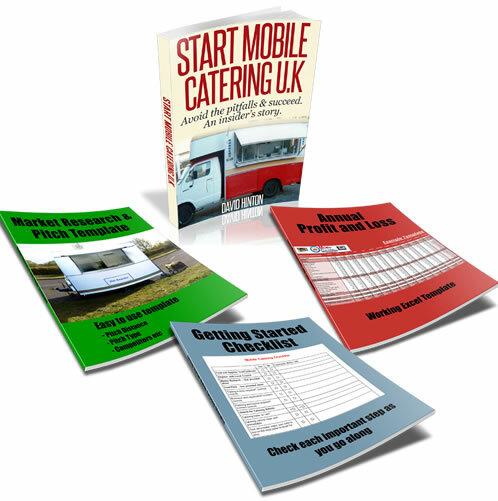 Hope this helps you out and do let us know how it all goes.You may also want to get my free guide on Starting a Mobile Catering Business for extra information and advice.